Formentera is an island off the southern coast of Spain that is part of a group of islands called the Balearic Islands. These islands are blessed with year-round Mediterranean sunshine and few clouds due to tempered winds that refresh both locals and visitors alike. 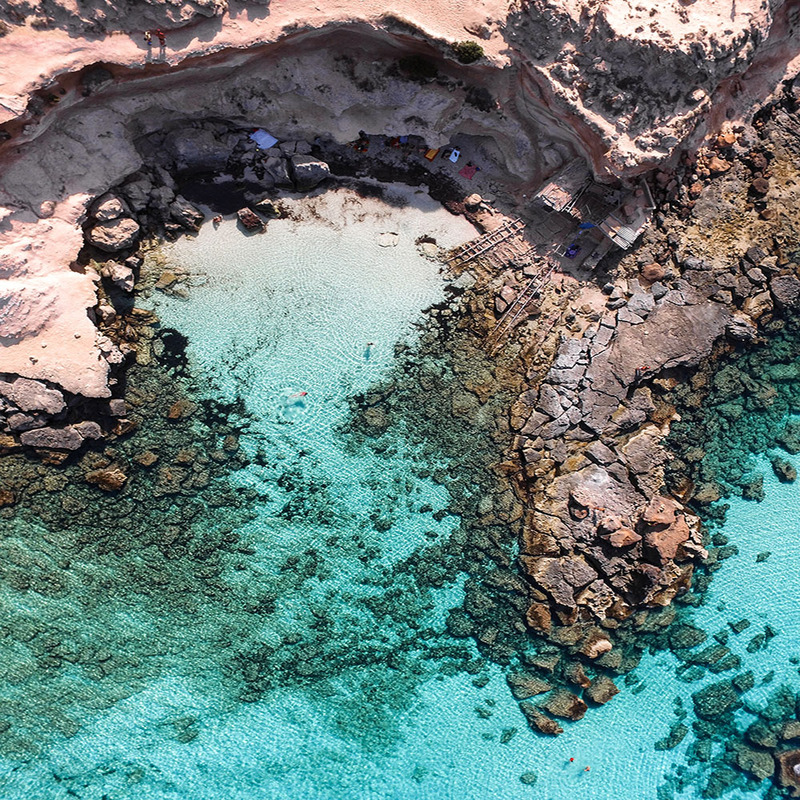 Formentera is often described as the “jewel in the crown” and it is easy to see why – magnificent beaches, turquoise waters and picturesque whitewashed villages. Much of the island is still unspoilt due to restrictions in development, meaning that almost everywhere you look, there is a beautiful vista to behold. Formentera is 6 miles south of Ibiza (Eivissa) and due to this proximity, it is often called “Eivissa’s hippy little sister”. This phrase harks back to the late 60’s and 70’s when the island had a thriving hippy population. Today the island has a more exclusive feel to it, with its boutique shops and excellent restaurants. Nevertheless its positive atmosphere and relaxed vibe give Formentera a unique charm unlike any of its larger Balearic sisters. All of these qualities lead to titles such as “the last paradise in the Mediterranean” and often draw comparisons to the Caribbean. And without an airport, few hotels, no designer shops and zero fast-food chains, Formentera really does feel like a distant paradise right on Europe’s doorstep. 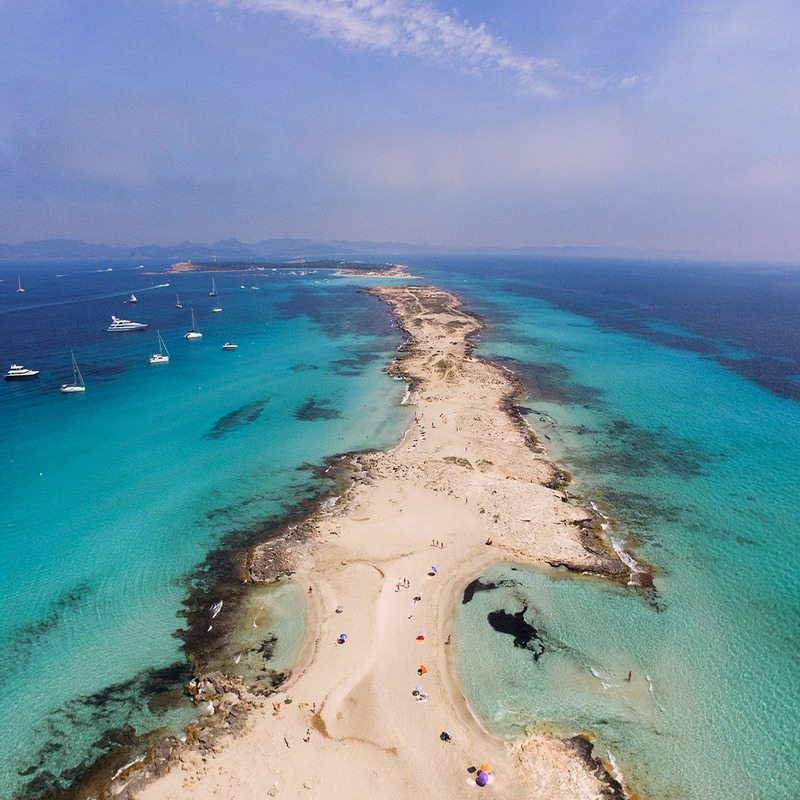 Playa de Ses Illetes in the north of the Island is a World Heritage Site and the Ses Salines Natural Park (which covers the southern tip of Ibiza and Northern Formentera) is a UNESCO protected area of natural beauty. Formentera is laid-back luxury in its purest form: eat and drink in glorious sunshine, then swim in crystal clear waters. What more could you ask for? 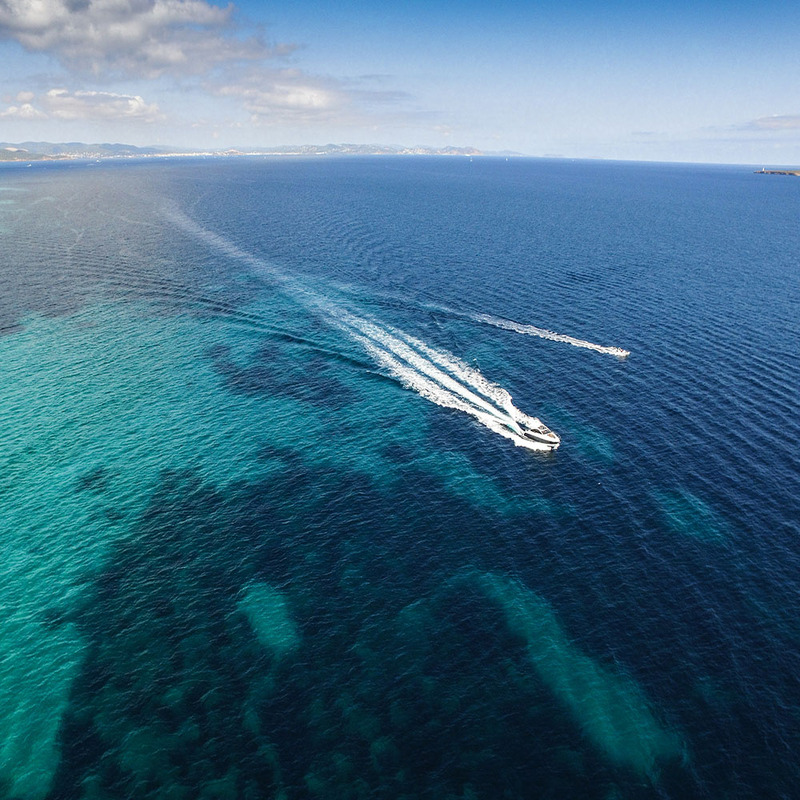 As there is no airport in Formentera, you will need to travel by boat from Ibiza. The 12 mile journey usually takes betweeen 25 and 60 minutes dependant on the service. To travel in style, take a private water taxi with onboard bar and sound system, accommodating up to 8 people. Or if you prefer the wind in your sails you can charter a yacht for a more classic crossing. Otherwise there are mulitple ferry crossings every hour from Ibiza Port (Port d’Evissa) to La Savina that cost around €25 each way. All of these services can be booked with us through our services page. Take your first steps off the ferry from Ibiza and you’ll find yourself in La Savina, bringing visitors from mainland Spain or Ibiza. This is the only harbour for all incoming and outgoing sailings. It has a large proportion of services concentrated here including information points, travel agents and estate agents. There are also a few bars and restaurants with fabulous views everywhere you turn – especially across to Ibiza and Es Vedra. 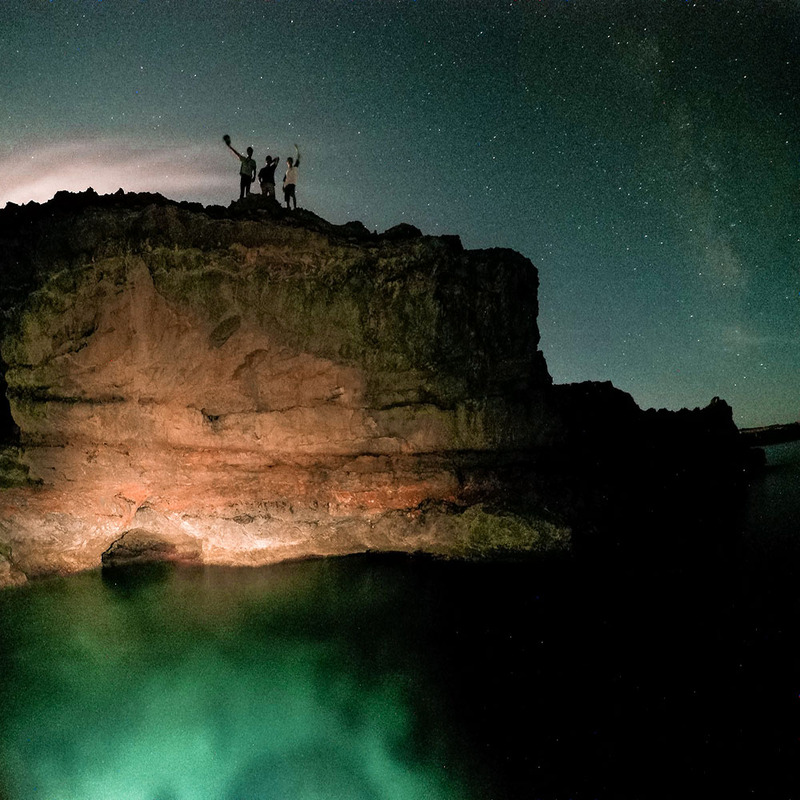 Sun, beach and night life! Tourism is at its pick here. Located between Punta Prima and Pedrera d’en Coix, in Es Pujols you can find all you need for the whole of your stay. With beaches like Illa Plane, Illa des Fonoll Marí and Illa de s’aigua Dolca, the string of small islands out on the bay stands out like a decorative frieze against the skyline and makes the water around the beach placid. Around the bay, the sea front becomes the scene as evening draws in a lively café society, with local craft people selling their wares and market stalls of all kinds. At night, interest switches to a large number of restaurants and bars, a reflection of the vibrant character of the place. It accommodates the largest number of holiday makers on the island. This is the official capital of Formentera, which is organised administratively as a single municipality, so all of the town hall offices for dealing with public services are located here. It is the main shopping area on the island, hosting excellent restaurants and bars with plenty of entertainment. Take a walk down the pedestrian streets of the “mercadillo” (street market) to find butchers, fishmongers and vegetables stalls. Sant Francesc Xavier also holds some important historical buildings on the island. The main square opens up to a fortified church with thick walls, looking imposing and impenetrable. It dates back to the 18th century, a time when the local population needed study defence against attacking pirates. Next to the church is the Cistern, a vital architectural feature of an island that historically has always suffered a massive shortage of drinking water. A visit to the nearby Chapel of Sa Tanca Vella and the Ethnological Museum is also a must. One of the parishes established by Manuel archbishop of Ibiza, Sant Ferran de ses Roques goes back a long way. It is consecrated to the memory of King Ferdinand the Catholic and was initially intended to be a settlement for the salt workers of old. Today it is still an authentic hippy area, driven by the 70’s golden era where the famous circuit of Frisco-Formentera-Katmandú was generated. Fonda Pepe still has a reputation as a hippy hang out (Bob Dylan spent a lot of time here), and a few of the residents seemed to have missed the fact that the 60’s and 70’s are over! Formentera has a far stronger trace of the hippy movement than Ibiza and Fonda Pepe is the perfect place to soak it up. You can also visit the world famous guitar workshop, Formentera Guitars, which has been handcrafting instruments for rocks stars and holidaymakers for decades. Amongst its most famous customers are Pink Floyd, who no doubt hung out in Fonda Pepe whilst waiting for their bespoke instruments. Before the La Savina port was developed, Es Calo was the island’s main harbour and the home of local fishermen of the island. Here the rustic sheds protecting the boats, the fishing nets, and the tradition of laying the fish laid out to dry in the sun all give the area a truly authentic flavour, with customs dating back to Roman times. In fact it was selected by the Romans to export figs, and later as a place for the residents of La Mola to drop anchor. The village got its name of Es Calo de Sant Agusti from the monks from La Mola used to moor their boats here before heading up Cami Roma to their monastery. Right up until the 1920s it was used for shipping sandstone, charcoal and wood…… and word has it that Es Calo has the best fish restaurants of the island: Pascual and Can Rafalet. What a view of the island form the higher grounds! El Pilar de la Mola (The molers) seems to be somehow set apart from the rest of the island, unconcerned and untouched by what is happening beyond its limits. It is fair to say that the El Pilar population doesn’t leave their habitat very often, and when visiting you really do get the sense of coming to a very different place. Here we learn the terms ‘molers’ for the residents of the village and ‘baixers’ for the rest of the population, with baixer meaning “from below”. The village only extends for a few hundred meters of a land strip consisting of a few restaurants and farm houses. The two characteristic buildings in the area are the Church of Nostra Senora del Pilar and the Mill of la Mola. The latter was built way back in 1778 and is still in good working condition. There are rumours that Bob Dylan lived inside the mill in the 60’s, but the question remains: how on earth did he make it to La Fonda Pepe every day?! This is the southernmost point of the Balearic Islands, and many locals would insist that on a very clear day you can see the African Barbary coast. It’s unclear where the name of Cap de Barbaria comes from, but we doubt that it is from being able to see the African coast, as it is over 60 miles away! Thanks to its well-known lighthouse and the cave “forada” (the pitted cove), it is one of the most photographed areas of Formentera and can be described using two words: isolation; desolation. The only sights are the lighthouse and the defence tower (sat on the top of some impressive cliffs), Ibiza’s Es Vedra, and the lonely road back to Sant Francesc. As you get closer to the southern point at the end of the road the vegetation gets ever sparser, with a total absence of the usual recurrent view of pine trees, leaving rosemary and thyme as the only surviving plants in the area. This barren landscape is a result of deforestation during the early part of the twentieth century, followed by subsequent use of the land for grazing. Considered to be the Formentera’s longest beach with its five km stretch, Platja de Migjorn (Playa de Mitjorn) means midday beach, and it shows a fantastic rocky coastline interspersed with beautiful sandy beaches. From Sant Ferran, heading east, you can start with the greatest selection of the island’s beaches: Es Ca Mari, Raco Fondo, Es Codol Foradat, Es Valencians, Es Arenales and Maryland. 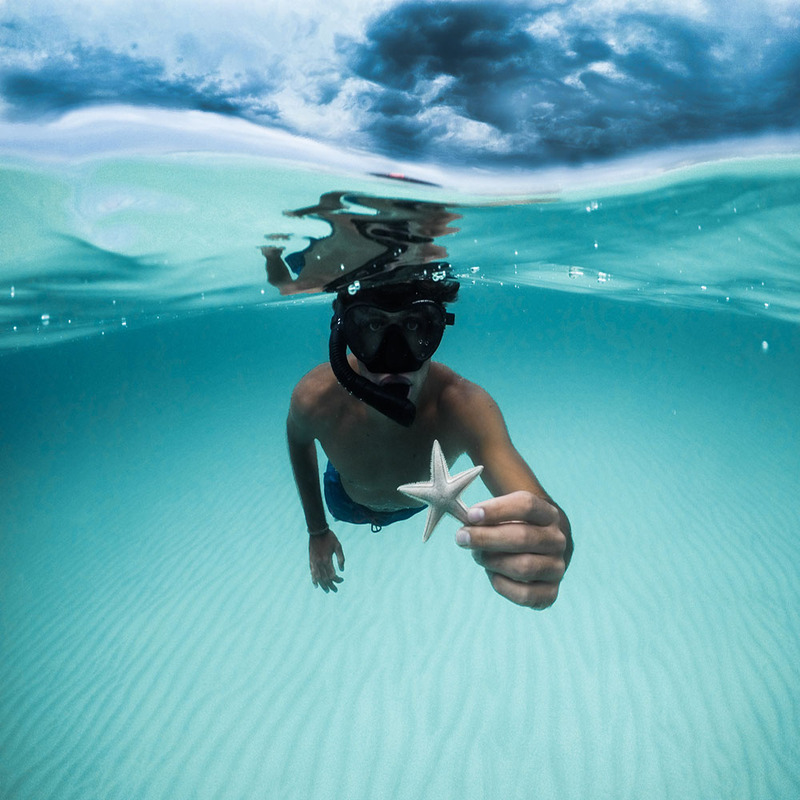 Nudism is very much welcome on some of these beaches! At km 8 you should turn to go and enjoy one of our favourite bars: The Blue Bar, a true local institution, which has a terrace overlooking the ocean and the most relaxing ambient music and hippy appeal. Don’t be afraid to grab a bite, the restaurant is superb!